SALAWEG processes kelp farmed in the Gaspé Peninsula. Located in Gesgapegiag, the company reinvests its profits to support the Mi’gmaq Nations of Gespeg and Gesgapegiag and the Maliseet of Viger First Nation in the sustainable management of their marine resources. 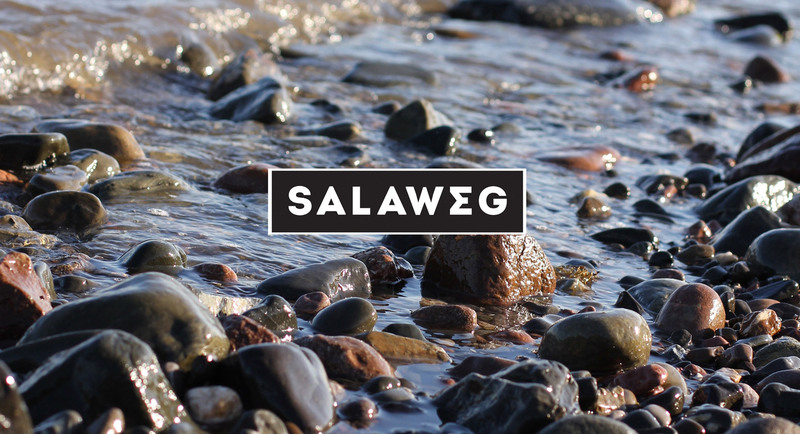 Easy to use, the products in the SALAWEG line require little preparation. They were designed so that you can reinvent your cooking with new ingredients. And they make a delicious gift idea! Delightful in your burgers, hot dogs and seafood rolls. Try it with your cheese platters as well. Add this mix without moderation to your fish and scallop tartars. For the preparation of its products, SALAWEG farms a cold-water brown seaweed called sugar kelp (Saccharina latissima). Seaweed farming promotes protection of natural habitats, and results in the harvesting of kelp with consistent properties. Which is the secret, in part, to the exemplary quality of our products! A pot-en-pot mainly belongs to the Acadian tradition. This meal consists of a mixture of fish, seafood, or meat added to vegetables and cover with dough. Green beans were given a special place in Acadian gardens; they would also call be called: « fèves à palette ». This recipe is inspired by the Mi’gmaq community dietary habits. This fritter was once made by mixing corn flour with salmon, and then fried in seal or whale oil.